Read Spider on the Floor by Raffi or use the Raffi recording on Singable Songs for the Very Young.You can add verses with less familiar parts of the body. Early Literacy Aside--Example: Using props during a song or story that prompts children to act out the meaning of the words, provides children with a fun and active way to learn new words and to practice their vocabulary skills. Early Literacy Aside--Explain: Here's a rhyme that you can do anytime and it reinforces rhyming words which develops phonological awareness while having fun at the same time.Do Scarecrow, Scarecrow activity Children stand up with arms bent at elbows like a scarecrow and head tilted. Actions to words. Scarecrow, Scarecrow, turn around Scarecrow, Scarecrow, jump up and down Scarecrow, Scarecrow, raise your arms high Scarecrow, Scarecrow, wink one eye Scarecrow, Scarecrow, bend your knees Scarecrow, Scarecrow, flap in the breeze Scarecrow, Scarecrow, climb into bed Scarecrow, Scarecrow, rest your head. Early Literacy Aside--Explain: Research shows that there are early literacy skills that influence a child's ability to learn to read. Today, you will probably notice several places where I demonstrate examples of narrative skills, which is the ability to describe things and events and to tell stories. 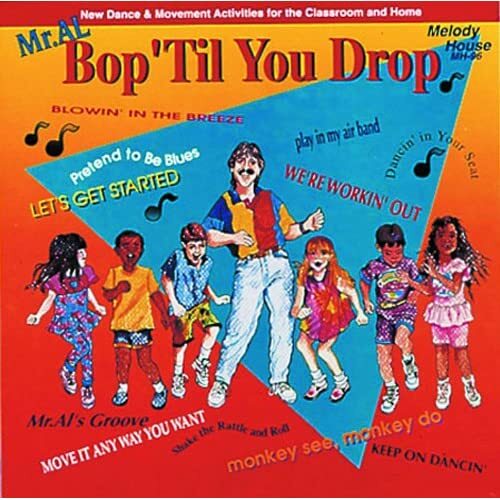 When you develop this skill, it will help your children understand what they reads later.Song: Bop 'Til You Drop Go through the sequence of motions that are in the song, Bop 'Til You Drop Early Literacy Aside--Example: Singing songs that have a certain order is one great way for children to remember the sequence or order of things. They will use the same skill when they retell a story. They learn how stories work. Early Literacy Aside--Empower: One thing that you can do at home to develop narrative skills is to describe regular activities such as taking a bath--"first we'll get out the towel, then we'll put the water in the tub and add the bubbles/toys, then we'll take off your clothes, and get in the water. We can scrub our toes, our ears . . . " With older kids, let THEM describe the sequence of events with prompts like, "What do we have to do before we put the bubbles in? or "What do we do next?" Early Literacy Aside--Example: As I read this story, I am going to pause and have the children fill in the rhyming word. This is something you can easily do with rhyming books. Start off by using rhyming books that your child has read with you before. Helping your children hear rhymes will help them later to sound out words when they learn to read!Read the book: As you read the book, let the children chime in with some of the rhyming words, like head to follow red. After the book activity: Everyone stand up! What's a word that rhymes with head? Children give suggestions. Pick one--bed. OK, take your hand and dip it in red paint on the floor (pretend). Now take your hand and draw a bed. Good! What's a word that rhymes with green? Perhaps the children say bean. OK, dip your foot in some green paint on the floor, and draw a bean. We all laugh together. Book Introduction: In our next book, there is a mother hen and her three chicks, one is a Big Chick, one the Middle Chick, and lastly the Little Chick. The Little Chick likes to run on tiptoes, very quickly. Everyone stand up. Let me see you run in place, just where you are standing. Great! Now let me see you stand on tiptoe. That's right you don't touchyour heel to the floor. Now run in place again, but on tiptoe--that's how Little Chick runs. Everyone sit down and let's see what happens. In this book there are sounds like RUFF-RUFF that the dog makes. Let me hear you say that. Great! For Little Chick the sound is tippy-toe, tippy-toe, tippy-toe. Let me hear you say that. Great!OK, ready?! As I read the book you'll be making these sounds. Listen to the story too and see how smart Little Chick is. Read the story Tippie-Toe Chick, Go! by George Shannon. Early Literacy Aside--Example: Having your children make the sounds of animals and other sounds helps them develop phonological awareness, being able to hear the smaller sounds in words. This is so important when they later try to sound out words. Early Literacy Aside--Example: Adults, by using the movements can help children understand what the words mean. Talking with your children about opposites and using more similar words--all these activities help to develop your children's vocabulary which will later help them understand what they read.